Category: Books, Religion and Spirituality, Self Help & Personal Development Tags: Pause for Thought, religion, self-development, self-help, spirituality. Foreword by Chris Evans and Vanessa Feltz. 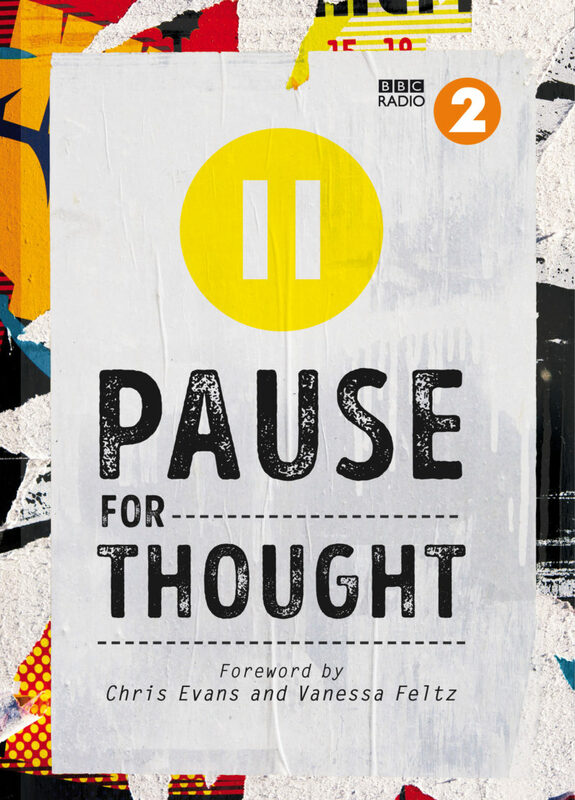 A fantastic collection of reflections on modern life taken from Pause for Thought, broadcast daily on BBC Radio 2 on the Chris Evans and Vanessa Feltz morning shows and on After Midnight. Highly designed and vibrantly colourful, this collection of scripts from BBC Radio 2’s Pause for Thought showcases the incredible insights that the different faiths in the UK today offer to people of all religions – and to those of none. Together, these pieces provide a guide to finding happiness and achieving psychological wellness, despite all the challenges we face. In both the selection of pieces and in the contemporary design, the emphasis is on pausing – on stopping readers in their tracks and offering new ways of perceiving and connecting with each other. The book features an exciting range of commentators with great public profile, such as comedians Shazia Mirza and Paul Kerensa and ex-Communard Richard Coles, with a Foreword by the show’s presenters, Chris Evans and Vanessa Feltz. Each of the book’s seven chapters has a theme, reinforcing the overall inspirational and positive message of the book: Live Boldly, Challenge Perceptions, Understand, Connect, Love, Be Thankful, Let Go. A superb gift as well as an inspiring self-purchase.